Army of Darkness is a 1992 American comedy horror film directed by Sam Raimi. It is the third and final installment in The Evil Dead trilogy. The film was written by Sam Raimi and his brother Ivan, produced by Robert Tapert, and stars Bruce Campbell and Embeth Davidtz. 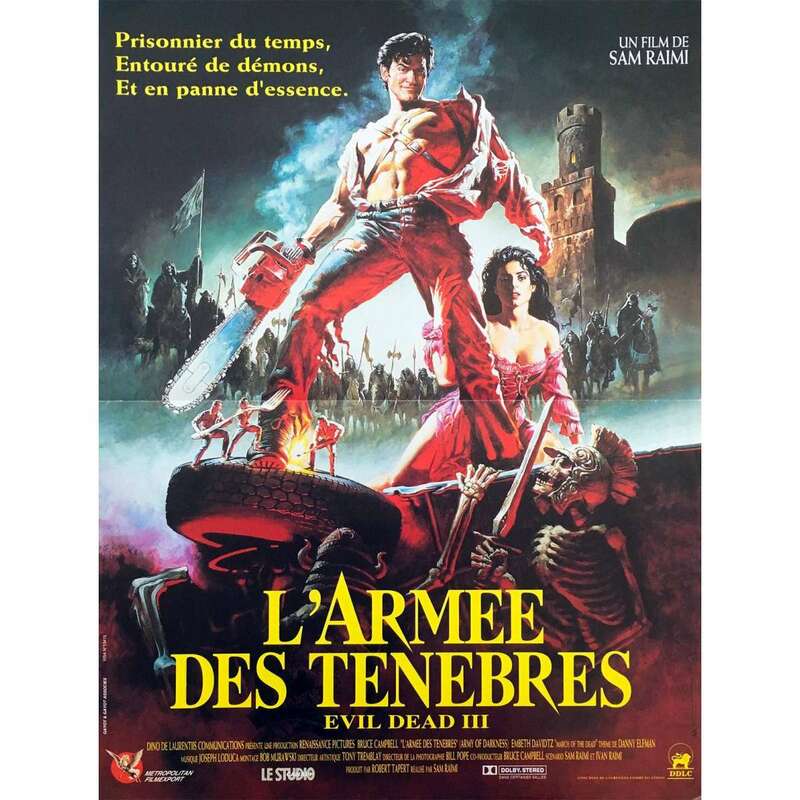 Continuing from Evil Dead II, Ash Williams is trapped in theMiddle Ages and battles the undead in his quest to return to the present.